After Donald Trump shut down the government and took America hostage, Speaker Nancy Pelosi informed him that he would not be invited to show up to the House and give the State of the Union until he ended his shutdown. Trump thought he would be clever today by simply announcing that he’s going to show up and give it anyway. In response, Pelosi promptly beat him at his own game. Although it’s widely regarded as mere tradition and formality, the President of the United States can’t actually enter the House chamber and give the State of the Union without the House’s permission. Pelosi took advantage of that fact this afternoon when she fired off a public letter to Donald Trump. Donald Trump then threw a tantrum about it in front of the television cameras, which was a de facto admission that he has no idea what to do next. 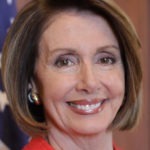 Nancy Pelosi has managed to further back Trump into a corner, at a time when his approval rating is at an all time low, and most Americans accurately blame him for his shutdown.